Jim Fletcher is a Georgia real estate attorney. 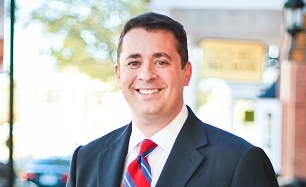 A graduate of the University of Georgia School of Law, Jim has practiced as an attorney since 2007, and he has represented clients across the State of Georgia. Mr. Fletcher’s practice focuses upon helping landowners resolve real estate issues (including Quiet Title, Tax Deeds, Foreclosures, and Complex Real Estate Disputes). Jim is an Eagle Scout, was Executive Editor of the Journal of Intellectual Property Law, and was President/Justice of Phi Alpha Delta Law Fraternity. He has served as vice-chair of multiple American Bar Association committees, and was given an award by the ABA in recognition of his work. Jim has received a 10 out of 10 rating with Avvo. Thomson Reuters has afforded him the distinction of being “Lead Counsel Rated“. Jim is a member of multiple organizations including the Georgia Bar Association. “Jim is an exceptional attorney and highly respected by those who have had the opportunity to work with him. His knowledge of the law and abilities as an advocate make him a valuable trial lawyer.” Attorney Thomas Cardone. “Jim Fletcher, Esq. helped my family and I deal with legal issues during a very difficult time in our lives. Jim was very thorough and detailed, he did his research and was extremely prepared without getting a lot of input from me. I trust Jim completely will always be grateful for his knowledge of the law, sensitivity, guidance and ultimately, getting us the best outcome and closure.” Client Donna H.
“I met and have worked with Jim Fletcher for the past four years, generally concerning corporate real estate litigation. Jim worked tirelessly for us in each real estate litigation case, including the occasional challenge to obtain service of process. He takes a personal stake in representing his clients. Further, a few months ago, a personal real estate situation occurred. Without hesitation, I contacted Jim. Not only was he fabulous handling the process, he was more amazing in court. His insight, experience and professional demeanor are 100%. Jim is the advocate anyone requiring attorney services should contact.” Client Vickie Wheeler.